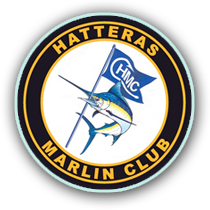 The Hatteras Marlin Club was founded in 1959. The club provides its members a private social club with full services and facilities. The membership is by invitation only. Our current membership is 150 active members. Invitations are issued by two sponsoring active members. The club is looking great, all it needs is more member’s smiling faces! We are looking forward to a fun-filled season in our new and improved facilities! Club will be open for Friday and Saturday night dining starting in late April/early May throughout the season! Call for reservations.